An important part of the preparation process of each student’s application to the university is the writing of the personal statement. The personal statement is what will give you the key to the university you want. It is the only document of the admission procedure in which you have full control and the one that can launch or eliminate your chances of acceptance to your dream studies. But do you know exactly how you should write this key text? Have you thought about what elements of yourself you have to include and how to develop these in writing? Do you know what is the most important information the university takes into account? Do you know which tone and style it should be written in? Are you puzzled about how the structure of the text should be? how to highlight that you are one of the most suitable candidates? In the Personal Statement Guide you will find everything you need to know in detail, in order to write a statement which represents you. Get all the information you need to prepare an effective text and maximized your chances of acceptance at the university of your choice. 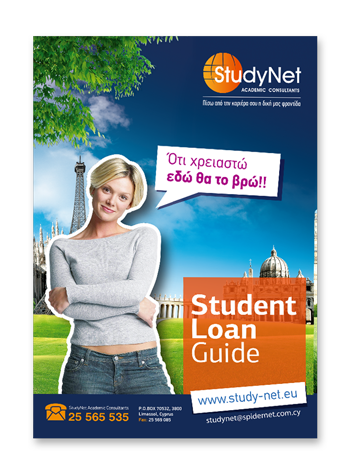 The Student Loan Guide is a useful source of information, and provides extensive information about the student loan and analyses all facts in detail, so tat you can begin your studies without any anxiety about finances. How to make the loan application and what documents you need to collect. What the terms and conditions are for securing it. Exactly how the payment of the tuition fees is made to universities. What happens in the event that you change your program, abandon your studies or transfer to another university. When and how to pay off your loan. What happens if you are unable to secure a job immediately after your graduation. The Student Loan Guide will orientate you fully on all issues related to the loan and will solve all your questions, so that you can arrange to finance your studies on time and smoothly. This guide will be indispensable to you, since it provides you with a step by step manual in the process of efficient reading, it will show you study techniques and will reveal all the secrets for a successful academic year. then Studynet’s Study Guide will be your right hand. Specially designed to teach you everything you need to know in order to organise your studies effectively and calmly achieve all your goals. It is the ultimate preparation guide for each student. Would you like to have a guide so full and complete that it solves your questions and with them all your worries regarding the start of your studies? 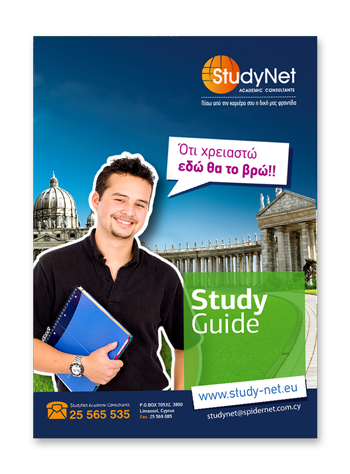 A manual which satisfies all you need to know, and everything you need to arrange before and during your arrival in your chosen country of study, with simple instructions and easy solutions? then the Startup Guide will become your bible. This guide is unique in its kind and it is specifically designed to assist students in their first steps, giving them everything they need to know in order to cope effectively at the beginning of their studies.